After coming out for the first time, working out where and how to make LGBT friends doesn’t come immediately—especially as many queer spaces do not centre black or brown communities. 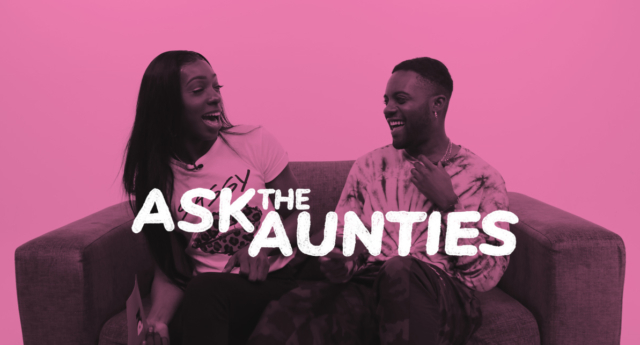 In a new episode of PinkNews series Ask the Aunties, our fabulous queer agony aunts answer a dilemma from someone struggling to find their network of queer black friends. Agony aunts Lee Gray and Karnage Kills respond to a dilemma sent in anonymously from a queer, black reader struggling to find their place on the largely white, gay scene. Watch the video below to see their advice. Their dilemma said: “Any advice on navigating the queer scene as a black person? “Just putting yourself out there—find other queer, black, people of colour and just kind of putting yourself in that scene,” Karnage said. “I’ve felt uncomfortable in queer, white spaces, I’ve felt uncomfortable in straight spaces, I’ve felt uncomfortable in queer, black spaces,” Lee explained. “I never really felt comfortable until I found my group and that’s what I say to anybody coming onto the scene. “It takes a while, it takes a long, long time before you can actually find people you can mesh with. “Sometimes that’s people who look like you and sometimes it’s not. Watch the video above to see all of the Aunties’ advice. The previous episode answered a dilemma from a pansexual reader who needs advice on coming out to her grandparents.